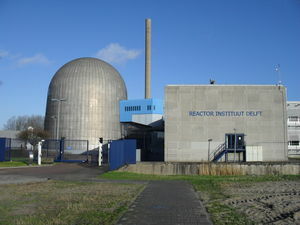 The section Reactor Physics and Nuclear Materials (RPNM) belongs to the Department of Radiation Science and Technology of the Faculty of Applied Sciences and is the only academic group in the Netherlands for research and education in nuclear fission energy. Our bachelor and master research projects are always challenging and can be a mix of theoretical, numerical and experimental work. Our research focuses on the analysis and development of nuclear reactors and fuel cycles that excel on safety and sustainability. Our dream is a nuclear reactor that is inherently safe, fully utilizes uranium and thorium, and produces no long-lived nuclear waste. This challenge is big but the reward would be huge. Every kilogram of the earths’ soil contains energy equivalent to burning 30 litres of gasoline. Nuclear energy could produce the worlds’ need of electricity for tens of thousands of years!